When you are in the Bronx and looking for a lease car, coming to our auto leasing agency is the best choice you could make. While there is a ton of choices out there for companies that will allow you to lease a vehicle, there is no other company like Auto Lease Bronx. Sure, everyone else loves boasting about how they have the best car leasing service in the state. They love saying that they have the lowest auto lease rates anywhere. Well, we are here to tell you that as long as we are in business, their claims are far from the truth. We dominate the car leasing game with our comprehensive auto leasing rates and terms. When it comes to our customers, we have some of the happiest anywhere. In fact, we actually get a lot of return business because of our excellent service record. We have some of the most awesome sales reps in the state, and we make sure that you get to benefit from this. All we want to do is help you get behind the wheel of the lease car that you have always wanted. If we can do anything to help you with this, call us now on 718-307-5661 and let us know what it is. The end of an auto lease contract is drawing to a close. You finally realize that underneath all the bravado, you are actually a little scared. This is because of the infamy that a lot of auto leasing companies have brought upon themselves. They keep giving the worst possible service to their customers. 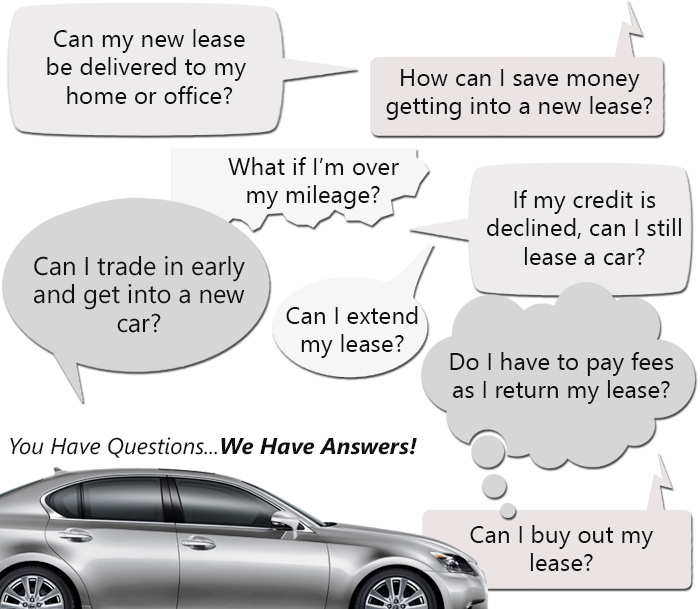 You can’t really expect your consumers to go into the lease return process with a smile. They know with near certainty that unless the car is in BETTER condition than it was in when they leased it, they are going to have to pay. It has become accepted almost to the point that it is a given. Not with our auto leasing agency though. We make sure that when you return your lease car, it is as hassle-free as possible. There aren’t any unnecessary bills that pop up out of nowhere with us. You can finally be safe while leasing with us. We make sure that when you return your lease car to us, you go through a process that will make you want to lease with us again, on the spot. That is how good our company is at taking care of you. Tired of your lease car? This is something that we try to avoid happening by picking a car that we know you will love. However, no one is perfect. As a human, your likes and dislikes are very likely to change over the years. If you suddenly want to return your current car to us, we understand. However, we do not recommend this. Instead, we can help your do a lease transfer, to avoid costs being thrown at you for breaking the contract. Call us now on 718-307-5661 for more information on the support we provide!